The biggest challenge that companies face today pertains to computer disaster recovery. The right disaster recovery plan would help retain clients and boost overall confidence as companies strive to resume normal activities. Disaster recovery plan and disaster recovery software are important tools that organizations must adopt to reduce the impact of a disaster whether it collects the form of data loss or network outage. Data loss threats are increasing day by day in the form of hackers, spyware, worms, viruses and spam. 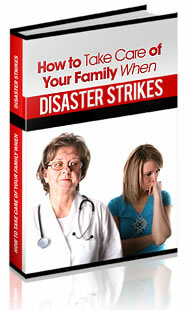 Disaster may also occur in natural or unexpected formats such as floods, terrorist attacks or fires. Take the examples of Hurricane Katrina and 9/11 which must have caused extensive IT network failure, computer crash or hard drive loss as well. Today's businesses operate 24X7 with the focus on maximizing productivity. For the same reason, it is vital not to lose track of the importance of formulating a computer disaster recovery plan. Several companies hire the services of computer disaster recovery agents who have expertise in offering alternative equipment and office space. Of course, there could be several legal issues involved in such contracts. So, the ideal thing would be to plan effectively for computer disaster. A disaster plan is basically a written document consisting of various executable steps to be performed in three phases such as before, during and after a disaster. Organizations are expected to stay alert and well prepared to regain normalcy within a short period of time. This will enable the companies to protect the backup in any avoidable or unavoidable circumstances. The purpose of a disaster recovery plan is to usher in a sense of security, minimize chaotic, on the spot decision making and minimizing risk of delays. Analysts are quick to point out that the potential of disaster occurrence itself can instill horrific panic as the disaster itself. To prevent such panic relating to data loss or crisis, every organization should chart out a plan to address its mission critical operations while creating a disaster plan. This may also include analyzing computer-specific dependencies and exploring all the options. Examples include a backup call center, types of backup – hot or cold, data center outsourcing and multiplicity of data centers. All these options should be evaluated on the basis of their cost to prepare a thorough, executable contingency plan. Identify and classify potential disasters. Identify resources that help alleviate the impact of a disaster. Find out a proper support recovery process which compacts communication, facilities, personnel and technology. Open all communication channels to stem panic among clients, business partners and employees. Plan alternatives for recovery after thorough selection and evaluation. Incorporate specific goal oriented strategies to regain business composition. Conduct proper testing to evaluate the credibility of the plan. With the right disaster software such as the VMware virtualization software, it will be able to save data, minimize disruptions and resume normal, confident activities in a company.